Get Reel...Get Fish! 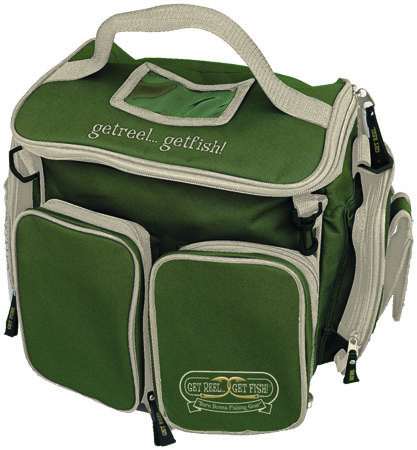 Softside GREEN FISHING TACKLE BAG with light tan Trim. All bags feature: inside compartment dividers with room for 4 lure trays, adjustable and detachable shoulder strap, top mount license pouch, 4 exterior zip pockets, sturdy nylon construction, chart view pouch, cell phone holder, net pouches for damp rags, and all PLASTIC ZIPPERS!. COMES WITH 1 LURE TRAY! !